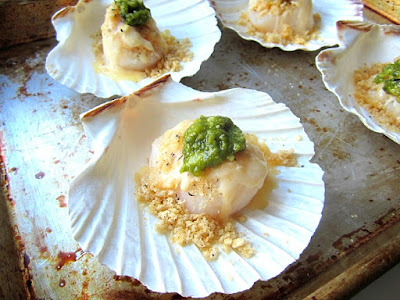 I ordered these scallop shells on amazon, and never used them....it was time to remedy that. This is my new go to appetizer. 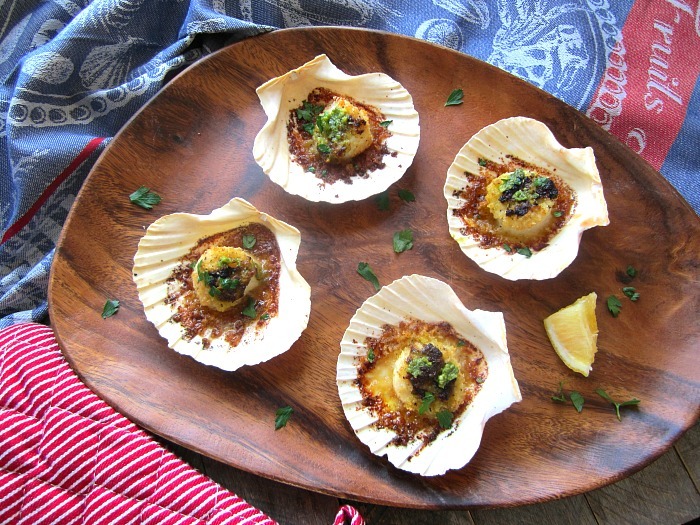 Simple, baked scallops with a breadcrumb topping. It's old school, nothing fancy, yet everyone loves them. You can use any commercial seasoned breadcrumbs you like (I like Cento brand seasoned panko crumbs, FYI). A dab of basil pesto.....(which has garlic in it already, so you don't even have to add extra garlic, unless you want to). Start with sea scallops, the big ones, not bay scallops. Throw some breadcrumbs on top of each scallop in baking dish or shell (as much or as little as you like). 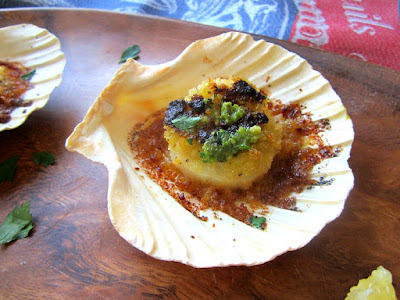 A dab of pesto on top of each scallop. Then drizzle with melted butter. Place in a 425F oven for 15 minutes. When they are nice and bubbly, squeeze a bit of fresh lemon juice over them and some fresh parsley. A Simply Great Recipe, you might want to inform your readers to make sure they get "Dry" (unprocessed scallops) when making this dish. It looks so delicious, thanks for sharing, it is really very helpful.